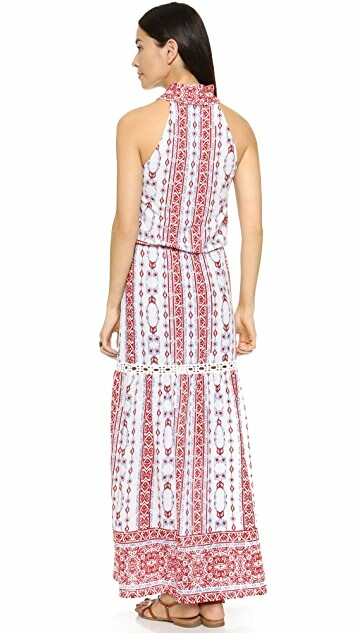 Rich geometric prints detail this breezy Saylor maxi dress. Drawstrings tie the stand-up collar over a split neckline. 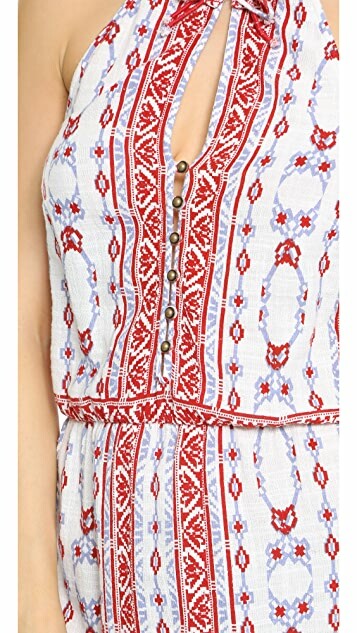 6-button placket. Covered elastic waistband. Side slit. Unlined.